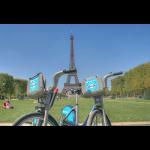 France in London | Visiter Paris avec un "Boris bike"
Visiter Paris avec un "Boris bike"
Having received Eurostar tickets for him, his Boris bike and his French friend, Tom Jones, Ian Mansfield set off for Paris in the early hours of the morning. 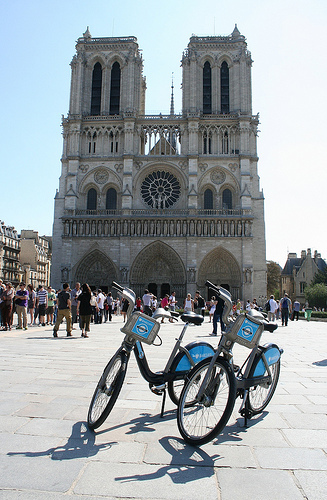 Once arrived at the Garre du Nord, the rest of the day would involve spurning the Parisian “Vélib” and instead cycling around the French capital on their most English of bikes. Sightseeing and photo taking, their Borises took them everywhere; from the Louvre to the Invalides, the Centre Pompidou to the Arc de Triomphe, and of course, the Eiffel Tower! 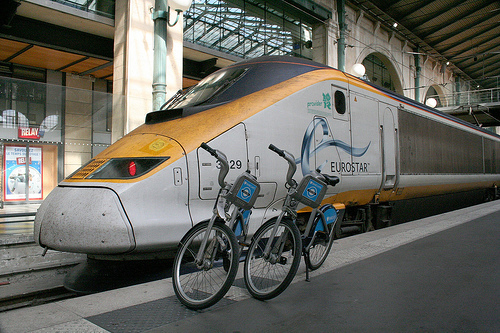 A whole tour of Paris’s best sights was completed on their sturdy two-wheeled rides before finally boarding the train back to London that same night. Once their bikes back at their docking stations, the friends where understandably pleased of their unusual and amusing odyssey. And the most difficult part of the trip? Cycling on the right of course! “Boris bike”: a success story? glorious new form of public transport in London. Today it is testament to the huge impact of Barclays Cycle Hire and to the rapidly increasing popularity of pedal power in London that I can announce we are now planning to swathe a huge chunk of the west of our city with our beautiful blue bikes.” So, it would seem the “Boris bike” is definitely riding on the right track! The Velib is a much better looking bike than the Boris though I can't compare performance, not having ridden a Velib. 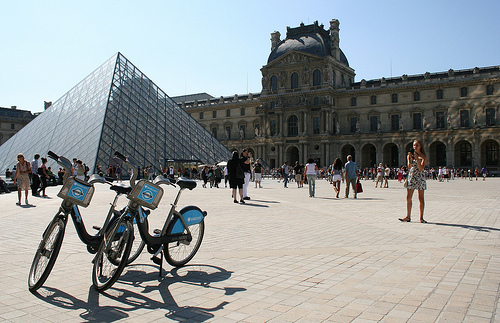 I like the big basket on the velib too.